The stylish wrap shirt. Simple, stylish and fashionable, Ljb Maternity’s Wrap Maternity Shirt is a great maternity clothing item for work! 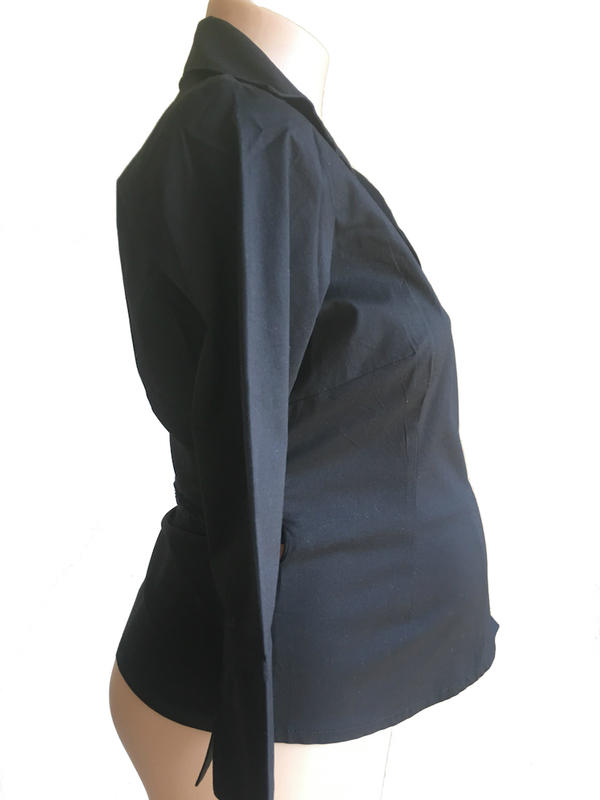 The Wrap Maternity Shirt is fashioned in a stretch poly/cotton. It features a lace tie wrap strap, ¾ sleeves and classic collar. The Wrap Maternity Shirt sits at length on the hip, making it a great top to layer, creating a variety of looks. 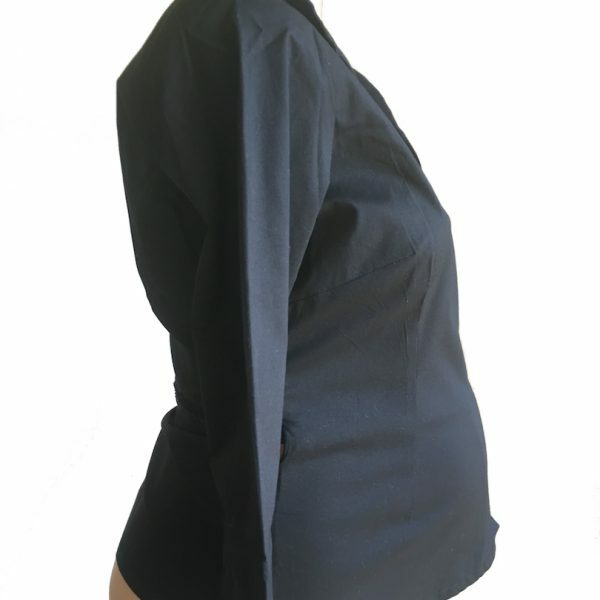 The Wrap Maternity Shirt is ideal for the professional woman! Wear your Wrap Maternity Shirt to the office, out with friends or to a function. The Maternity Shirt is a great choice to take you from day to night. Look stylish in the Wrap Maternity Shirt from Ljb Maternity. Style Options: Wear with our Ella Maternity Pant or one of our fab maternity skirts for work. Style with our Maternity Boyfriend Jeans and match with a scarf and the new season’s flats for a chic weekend maternity look.